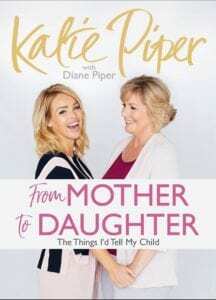 Everybody who knows Katie Piper has nothing but respect and admiration for her and – let’s face it – unless you’ve been living under a rock then you will definitely know who she is. What you may not be aware of is that she’s just released a new book, From Mother to Daughter: The Things I’d Tell My Child. I was lucky enough to receive an advance copy of the book for review alongside the interview I did with her which I ran on my own blog. If you’re a fan you’ll be excited to know that I actually held back a few questions for right here, so read on for both the book review and Katie talking about writing it and what else she may have in store for us on that front in the future! I wasn’t sure what to expect from the book really, but I suppose I was expecting something along the lines of what I read daily from parenting bloggers. This is considerably different however, because though it’s easy to read it isn’t peppered with the cynical humour you’ll find on my blog (case in point in the following two lines), or the parenting anecdotes which are hilarious when recalled retrospectively, but at the time make adoption seem a legitimate option. Katie writes about the serious aspects of parenting, and you can expect, for want of a better word, a handbook full of common sense parenting approaches, tips and advice. In this sense I’d say it’s predominantly targeting new parents, specifically mothers-to-be who are yet to meet their babies. That said there’s plenty of information in there which will make even a second time mum think and offer up ideas if you are going through a particularly difficult phase with your daughter. Of course, Katie is still young and so I think it’s worth noting that firstly, wisdom comes with experience, not age; and secondly, the back of the book details references which support Katie’s words. The book also contains some exercises which at this point in my parenting journey I wouldn’t find the time for because frankly, I barely find time to brush my hair most mornings. But, when I was pregnant with my first and in the first flushes of maternal love it may well have been that I’d have taken comfort in them. At that time I was determined to be the best mother possible for my new daughter, and yet I was also terrifyingly aware of how little I knew about bringing up a baby. I loved that the book also contains snippets from Katie’s mum as it gives a whole other perspective on certain events which as well as being an interesting insight into Katie’s life, are really useful generally. Because becoming a mum undeniably makes you see your own parents differently. If you’re pregnant with your first child, and especially if you know you’re expecting a baby girl, this is a lovely book to help you focus and prepare to be the sort of mother you wish to be. You’ve just written and released a new book – congratulations! Was writing always an ambition of yours? Thank you! I’ve certainly always used writing to help me process my thoughts but I never imagined that my words would end up being published until my mid to late twenties. Do you find writing cathartic? Do the words come easily or do you have to carve time out and force yourself to sit down to write? It’s definitely cathartic for me. I started to write as a form of therapy, especially with my first book ‘Beautiful’. It was so honest and helped me come to terms with what I had been through whilst also helping others at the same time which was a really good feeling. Can you tell us a little about your process of writing? When I first start writing it’s usually a big mess of notes and scribbles – from questions and suggestions, to quotes I’ve come across, to advice I’d been given. I just start to jot it all down! Eventually it forms some structure and becomes something I want to share and hope to inspire others with. As well as being a writer, are you also a voracious reader? I absolutely love to read. I find people’s auto-biographies fascinating and have drawn a lot of strength from learning about other people’s journeys. My favourite authors would have to be Martina Cole, Rhonda Byrne, Marian Keyes and Enid Blyton. That would have to be my mum due to how incredibly strong she has been and what an amazing role model she is to my whole family. 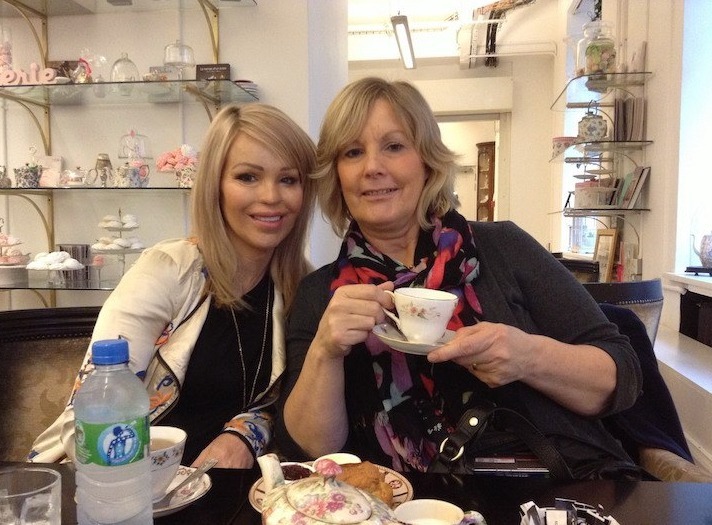 I’m also inspired every day by the wonderful people I get to meet through my charity The Katie Piper Foundation. Do you have a work of fiction in you?! It’s not something that’s on the cards right now but I love writing so never say never! 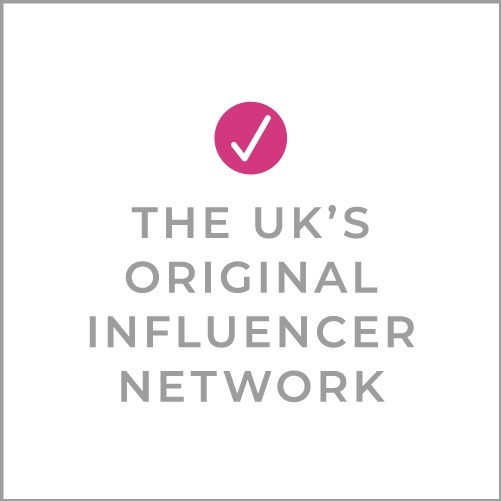 Cynic; Jedi Master; connoisseur of cake: Kate Tunstall blogs at The Less-Refined Mind and Huffington Post and has recently become the BritMums Current Affairs Round-up Editor. From petty peeves to politics, Kate doesn’t shy away from telling it like it is. As an inevitable role-model to her daughters, she even throws in the odd ‘inspirational’ post in an effort to quell her cynicism and promote positivity. Previous Post Single Parent Round-up : Hello? Wow. What an amazing article. I loved reading it. Yes indeed! A mother should be an inspiration to her daughter. Not everything is taught in words, many things are taught by actions as well. Very well written. Thank you.